Aligarh: Students choose the Aligarh Muslim University (AMU) for its impeccable teaching and academic ambience. This evidence is in the US News Education, Best Global Universities Rankings that has ranked AMU the second best among Indian universities and its Department of Mathematics is 129th in the world. The US News Education has also ranked AMU on the 305th rank in the world for studying biology and bio-chemistry and on the 460 rank for studying physics. AMU Vice Chancellor, Professor Tariq Mansoor said that the university is proud to claim the top spot in the US News Education Rankings. He added that these rankings reveal that AMU is one of the most prestigious universities with very high entry standards. 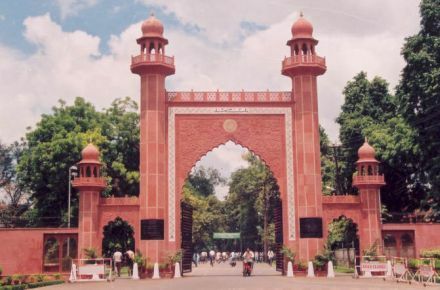 “AMU attracts students from all over the country and the world,” said the Vice Chancellor. Meanwhile, Prof M Mursaleen (Chairperson and Coordinator, DRS-SAP-II Programme) said that the Department of Mathematics has a unique achievement as it is the only mathematics department from an Indian University in the top slots. US News Education monitors higher education data for the world’s research-led institutions. Its rankings have been adopted as an indicator and as an aid to strategic management of institutions all over the world. It is through these rankings that students all over the world make their study and career choices.